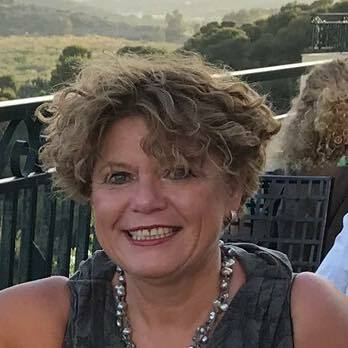 My name is Wilma Koster and I live with my husband in Zeegse (North Drenthe). We have 3 children and 2 grandchildren. Our first Westie Sophie came into our family in 1994. Breeding a litter was our wish and her first litter was born on July 9, 1996. 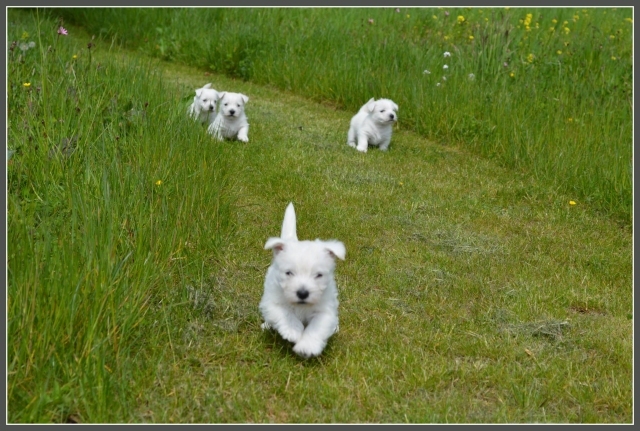 Now, more than 20 years later I have expanded my kennel to more than 10 Westies. I have further studied the kynology, the course KK1 and KK2 and exterior and movement ... all successfully completed. In 2011 judging exam for the West Highland White Terriër and a year later for the Dutch Schapendoes. I can judge both varieties at home and abroad. In recent years I have gained a lot of knowledge and contacts, especially across the border. I have imported Westies from Germany, Switzerland, Poland, Spain and recently (2018) a male from Sweden. This is how I want to enlarge the gene pool of my Westies and keep it healthy. Our dogs receive an ECVO eye test every year. Our males are all CMO 0 and patella luxation free! Every time I enjoy a litter of puppies and go out of bed with love at night a few times.